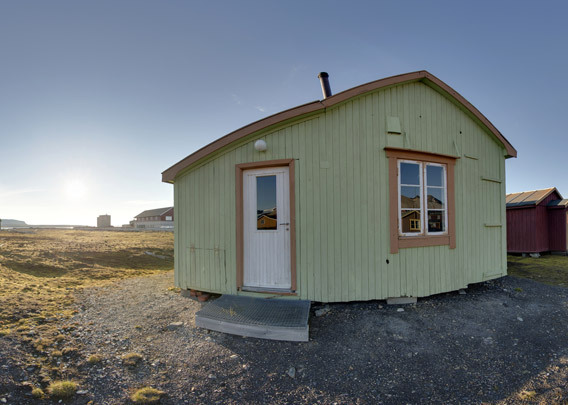 The “Green House” is part of the museum (Ny-Ålesund By- og Gruvemuseum). 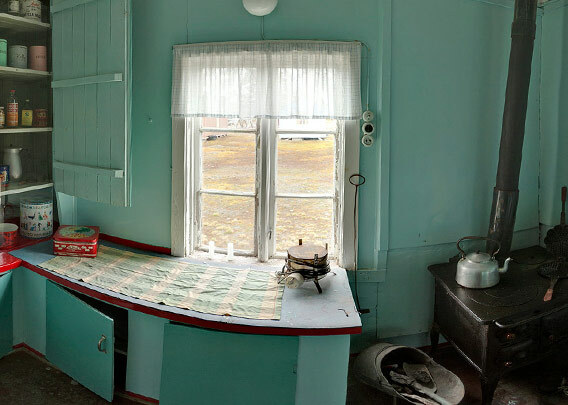 It is a little residential house and it still looks largely as it did when someone lived here until 1963, when Ny-Ålesund was abandoned as a coal-mining place. The “Green House” is open for visitors. It is interesting to see how people lived here back then, when Ny-Ålesund was still an isolated coal-mining place at the end of the world. The Green House was renovated in 2018. This panorama was shot before the renovation.